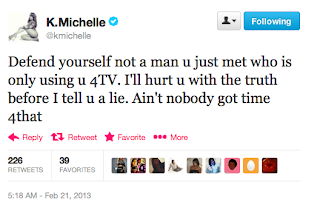 Posted on February 22, 2013 by M.E. 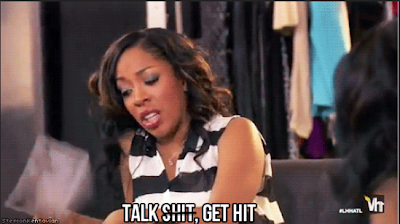 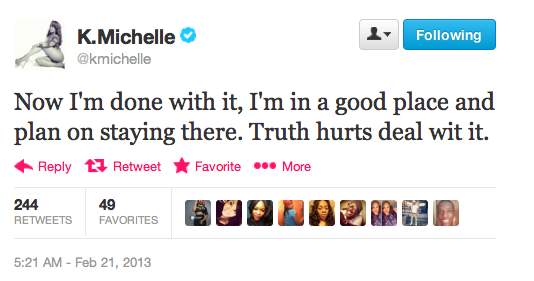 Now that it’s been confirmed K. Michelle really did slap Mimi Faust backstage at B.B. 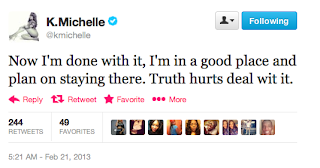 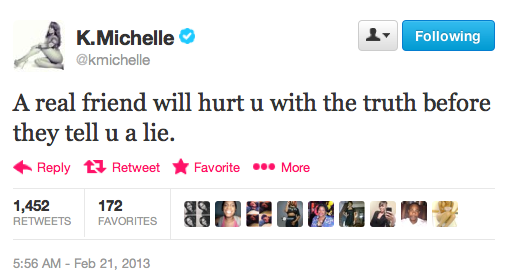 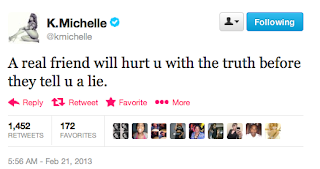 Kings, K.Michelle stands by her actions.